Clearwater Pools has been Newfoundland’s swimming pool and hot tub supplier of choice for over 30 years. During those three decades, we’ve installed many pools and hot tubs across Newfoundland and Labrador. We have a beautiful line of best quality above ground, onground and inground swimming pools along with our extensive line of Bullfrog hot tubs. These product have given our clients hours of fun and relaxation. We provide swimming pool and hot tub service to ensure our clients continue to get the most enjoyment out of their investment, and we’re Newfoundland’s leading source for pool and hot tub accessories and equipment. If you’re looking for Newfoundlands swimming pool and hot tub experts, you’ve come to the right place. We can make your dreams of owning any of these products a reality, with financing options featuring reasonable rates and monthly payment plans. We service everything we sell. Our pools are available in an extensive variety of sizes and shapes to effectively fit your backyard, while a large selection of options put the finishing personal touches on your backyard oasis. Building your dream pool is only the first step in your backyard adventure. After-service is the most important part of the project and we can provide all of the services that you need: water testing, chemicals, accessories, toys, games, and most of all… a professional and knowledgeable staff that will help keep your investment in the best possible condition. We have many more products than those mentioned in our website. Clearwater Pools was established in 1989 and assumed management of Triple “S” Pools, continuing a legacy in the swimming pool and hot tub industry which spans over 30 years in St. John’s, Newfoundland. While many other swimming pool and spa companies have come and gone over the years Clearwater Pools has remained committed to our customers and continues to grow because of our superior products and services. Distinguished as a leader in swimming pool construction, what sets us apart is our drive to surpass every expectation of our customers. Our retail store provides swimming pool equipment, supplies and service, making us the complete source for all your pool and hot tub needs. We offer safety and maintenance equipment, parts, chemicals, toys and games, above ground pools, portable spas, and more. 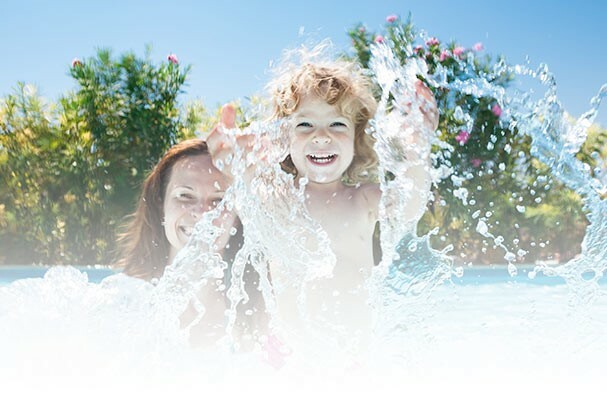 For free computerized water testing, pool oweners can bring a sample of their pool or spa water and we’ll let them know exactly what they need to bring it into perfect balance. Clearwater Pools has built its reputation on three basic principles: Quality, Personalized Service, and Competitive Prices. Together the staff at Clearwater Pools bring you unique designs, innovation, satisfaction, and support. We strive to give you years of health, fun and relaxation without leaving the comfort of your own backward. That’s why you can depend on us for all your swimming pool and spa needs simply “Your Clear Choice”. We are family-owned and operated, and you can always count on reliable, personal service. So kickback, relax and enjoy! We are active members of the Pool and Hot Tub Council of Canada (formerly NSPI) and the Independent Pool Group (IPG). The members of these organizations agree to abide by a strong Code of Ethics and by-laws, which include conducting business in a manner that leads to honesty, and integrity, in the martketplace. The Pool and Hot Tub Council also promotes pride, professionalism, service and industry certification for consumers worldwide.